We need to keep a list of these companies. When the ammo and gun shortage ends, and it will end, we need to have these people in our memories. Too many gougers to keep track of, just keep buying from the people you did if they keep it fair. Easier to keep a list of those few suppliers who don't gouge. Powder Valley is high on my list of the Good Guys. As supply catches up with demand, prices will drop. The places listed above will move as the market moves. With production at maximum, supply will soon catch up with demand, and the stores that haven't been gouging will be able to continue to serve those of us who will thank them with decades more patronage. Natchez just got a bunch of powder. Midway has primers in stock. TulAmmo but I guess that's better than nothing. Proper prices ($27/1K) as well. Unless they are forcing you to buy, they aren't gouging. Learn supply and demand and understand the economy. if you bought a pound of coffer for $1 and the other stores are selling it for $2, but you find out that your next can of coffee will cost you $3, what price do you sell it for? Nope, you sell for what the market will pay. If you aren't clearing inventory and making a profit, you will have to lower the price/go out of business. Price is based on supply and demand and is not controlled by cost of goods sold. If demand doubles and supply stays the same (or reduces due to government purchases), what is going to happen to price? Well, yes, this is correct according to classical economic theory. Which also mandates that the market has no memory. Which is also true for a sufficiently large market. However, as has been pointed out elsewhere, the market in this case is largely restricted to those who aren't in a position to avoid purchasing - i.e. competition shooters who wish to compete. This is not a large number and has an excellent memory. I think it's a telling point that the vendors who are traditionally associated with the sporting side of the market are selling out of whatever inventory they have very quickly because they aren't raising their prices to predatory levels. Clearly they are more interested in a long term relationship with their customer base and think that they will make a great deal more money over the long haul (I think we can rule out that they are just nice guys - this is business after all). Also - I think you'll find that a simple supply/demand curve for price basing is adopted only by people who are transient in a market. While I agree that this model is increasingly adopted by MBA driven businesses with horizons limited by the inner wall of their colons, they had better find another market once the shortage has ended. They have no future in this one. noylj wrote: Unless they are forcing you to buy, they aren't gouging. Learn supply and demand and understand the economy. The fact is that retailers who are sticking to their pre-panic prices are making a fair profit. If their costs go up, then they will adjust their prices higher, based on the percentage of profit that allows them to prosper. I suspect that those companies who raise their prices considerably, to take advantage of a temporary situation of increased demand, will pay the price down the road. Each is entitled to his/her business model. One is based on keeping the customer base and having a long-term prosperous business, the other is based on greed. Although I'm literally burned out on this subject, I'll add that in the past few days, ammo on the online auctions in some cases is expiring unsold. There have been quite a few more Craigslist postings with ridiculous prices stil being asked, (mostly .22) but the ads are being renewed which means its not moving. It could be a sign that the market is about to correct. A few folks that I deal with at LGS's seem to think that stocks should start to build in the next few weeks. Lets hope they are correct. Ive seen the same on gunbroker, many stupid price starting bid auctions going unsold. The idiots willing to pay crazy prices, are getting all they want so the number of people buying is dropping. Able Ammo has to be first on my list of ridiculous pricing. I checked their site one day and they had 50 round boxes of CCI standard velocity for $32.95. Thinking that must be a typo and the price was for a brick I called Able. A nice lady checked the price and told me it was correct. Later that day I re-checked the site and they were sold out. Unbelievable! I don't care what you call it and obviously I didn't buy any but I will remember not to patronize Able Ammo. Jerry944T wrote: Able Ammo has to be first on my list of ridiculous pricing. I checked their site one day and they had 50 round boxes of CCI standard velocity for $32.95. Did you find the same ammo in stock anywhere else? Before you go into another rant about supply and demand, I'll remind you that this thread's topic is a list of stores who are gouging with over priced ammo. It's not a lesson in economics. Thank you for the reminder. My question is legitimate. 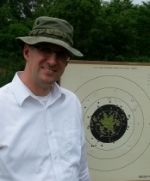 My Marvel's test target was fired with CCI SV. I would love to have some more. The only thing that stops me from buying is the higher price people with stock are charging. Therefore, I'd like to find a place charging less especially if they have consistent supply. I haven't found one yet, but, I'll keep looking. Here's a listing of places that have supply. The cheapest price is $0.24 per round. So, this list is perfect for this thread. Not apples to apples but Able Ammo was selling RWS Target Rifle for $149 for 500, RWS TR at Champion's Choice was going for $49. That's a $100 difference in price for the same item. Quite a difference! The RWS TR shoots even better in my S&W 41 that the CCI SV. Maybe there's a substitute that would be cheaper priced than the CCI SV and would still shoot good in your Marvel? Dewy to answer your question, yes, I did find a plentiful supply on any of the firearm auction sites. Of course the prices were inflated but when compared to Able ammo they were reasonable. I think $32.95 for a 50 pack od CCI standard velocity is unconscionable and so noted as the title of the thread suggested. Wingshot wrote: Although I'm literally burned out on this subject, I'll add that in the past few days, ammo on the online auctions in some cases is expiring unsold. There have been quite a few more Craigslist postings with ridiculous prices still being asked, (mostly .22) but the ads are being renewed which means its not moving. It could be a sign that the market is about to correct. A few folks that I deal with at LGS's seem to think that stocks should start to build in the next few weeks. Lets hope they are correct. I am glad to hear this as I do not frequent those sites. The 'shortage' seems to have drawn a number of folks into the market hoping to turn a quick profit. I have seen a few at the gun shows and decline to deal with them (market memory). However, the good guys are being crunched by their overhead: still have to pay the bills even though the ammo shelves are bare. So, I will not begrudge a small/reasonable price increase: Cabela's primers went from $28-31/1000 to $36-40/1000 (almost 30%) is not small but may be reasonable given their overhead; but $70 for a brick of 22LR that was $27 pre shortage: neither small nor reasonable. Remember, some of these folks have been stocking the stuff we need at levels that keep us from searching around for years, others just showed up. BTW, Cabela'a shelves are still bare near me.